Josh Junior and Andy Maloney drive around in a couple of nice Toyota Hiluxes and admit to having some cooler clothes on the back of winning last year’s America’s Cup. Josh Junior was seventh in the Finn at the Rio Olympics. Photo: Sailing Energy / World Sailing. “Apart from that, we are back to being Josh and Andy, Olympic sailors,” Junior said. They’re still involved with Emirates Team New Zealand but, without a boat to sail, have returned to Olympic campaigning fulltime. It’s a little different for Maloney this time around. 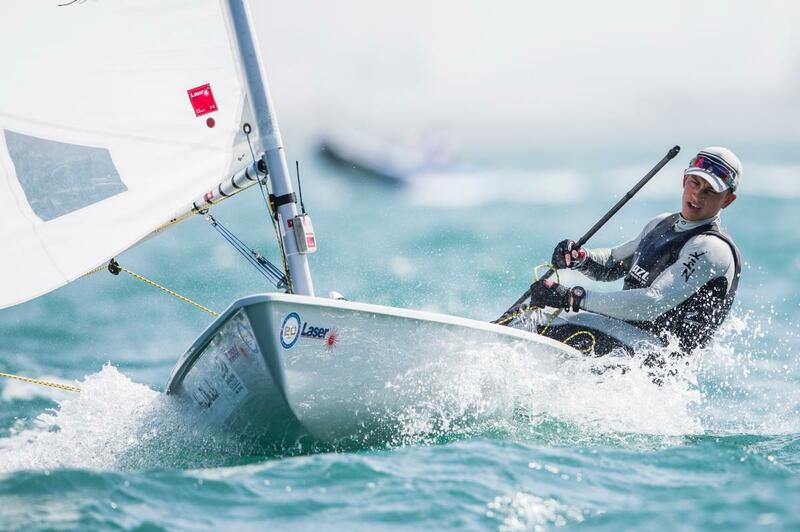 The 27-year-old attempted to earn selection for Rio in the Laser class, narrowly missing out to bronze medallist Sam Meech, but has switched to the Finn this time around. Part of that has to do with his weight. Maloney put on about 15kg to prepare for the America’s Cup through a rigorous exercise programme and exact diet (he started each day with eight eggs) to ensure he produced enough power on the boat. It was all worth it, but Maloney has no plans to dispense with the weight again, meaning he’s had to switch his attentions to the heavyweight dinghy. It works for both of them. Junior, who was seventh in the Finn at the Rio Olympics, needed a training partner and Maloney needed a class suitable for his bulky frame (Finn sailors are generally around 95kg-97kg). It hasn’t always been an easy transition, though, jumping from a high-tech America’s Cup boat to a dinghy. “It hasn’t been too difficult from a sailing sense because we’ve done that much sailing,” Junior explained. “It was just the muscles we need to sail the boat weren’t there. 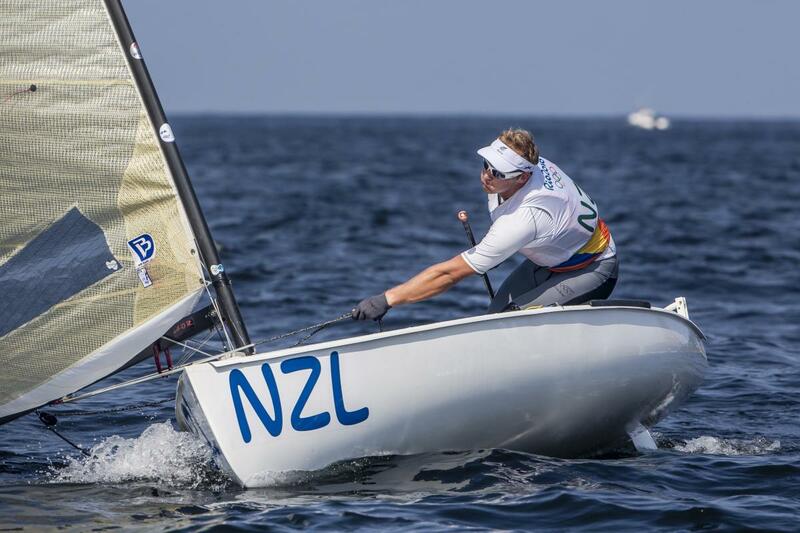 They will both sail in their first significant regatta since jumping in the Finn at the upcoming Oceanbridge NZL Sailing Regatta (February 3-5) at Murrays Bay, which is this country’s premier Olympic class event. They will then venture to Europe and Japan for a series of top-level regattas during New Zealand’s winter, including August’s world championships in Denmark. The pair are able to focus on the Finn almost exclusively this year but know they won’t have that luxury as the buildup to the 2021 America’s Cup intensifies. “We have mapped out the next three years until the Cup,” Maloney said. “The way we have mapped it out, we think it can work quite nicely together and we can still attend the number of Olympic events we need to be at the top and still give enough to Team New Zealand as well to make that campaign a successful defence.